In the summer of 1966, three years after delivering his "I Have A Dream" speech, Rev. Martin Luther King spoke to several hundred congregants in the sanctuary of a Highland Park synagogue. Barely a footnote in the civil rights movement, King's visit continues to resonate at Congregation Solel, which for the first time will commemorate the unlikely event with a special service Friday, three days before Martin Luther King Day. "I believe that the presence of Dr. King in our sanctuary 42 years ago was a significant benchmark in our history as a congregation," said Michael H. Ebner, 66, a longtime congregant and retired Lake Forest College history professor who organized the commemoration. "That event ... should not be forgotten." Formed in 1957 as an offshoot of the venerable KAM Isaiah Israel Congregation in Hyde Park, Solel inherited a tradition of social justice, a mission that its founding rabbi, the late Arnold Jacob Wolf, would take to new heights during the turbulent '60s. From marching with King in Selma, Ala., in 1965 to protesting the Vietnam War in Washington, Wolf led congregants to the front lines of the civil rights movement. When King came to Illinois in 1966 to organize the Chicago Freedom Movement—a campaign for fair housing in the inner city—he found a receptive audience for his message at Solel, a congregation of about 400 families which started its own initiative to foster diversity in the suburbs. Sponsored by the North Shore Fellowship of Rabbis, King was invited to speak on June 30. Beyond omnipresent concerns over King's safety, the event was not without its controversy, according to Ebner. The John Birch Society, a traditionally conservative political organization that opposed parts of the civil rights movement, was irate over King's visit to Highland Park, Ebner said. Congregants, on the other hand, were enthused, according to Gail Goldstein, a longtime Highland Park resident who was one of about 600 people that packed the sanctuary on a Thursday night to hear King's speech. "If there were people that weren't happy about it, they didn't make their voices heard," said Goldstein, 71. "Certainly he got a rousing response from the audience that was there." Rest in peace Rabbi Arnold Jacob Wolf. Rabbi Arnold Jacob Wolf, a nationally prominent Reform rabbi known for his progressive, sometimes provocative public stances, including opposition to the Vietnam War, a speech at Yale accusing the university of a history of anti-Semitism and early political support for his neighbor Barack Obama, died last Tuesday in Chicago. He was 84. 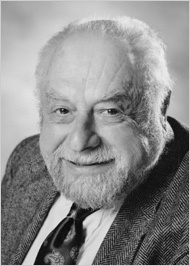 Arnold Jacob Wolf in 1994. The apparent cause was a heart attack, his son Jonathan said. At his death, Rabbi Wolf was rabbi emeritus of KAM Isaiah Israel Congregation in Chicago, where he had served as rabbi from 1980 until his retirement in 2000. The synagogue, the oldest in Illinois, is in the Hyde Park neighborhood, directly across the street from the Obamas’ home. Rabbi Wolf was a founding editor of Sh’ma, a magazine of Jewish social thought published 10 times a year. He wrote several books, most recently “Unfinished Rabbi: Selected Writings of Arnold Jacob Wolf,” published in 1998 by Ivan R. Dee. Arnold Jacob Wolf was born in Chicago on March 19, 1924. His mother was a social worker; his father, a tailor, died when Arnold was 7. For several years, starting when he was about 10, Arnold acted in national radio dramas broadcast from Chicago on the Mutual Broadcasting System. After receiving an associate’s degree from the University of Chicago, Arnold Wolf earned a bachelor’s degree in philosophy from the University of Cincinnati in 1945. He received his ordination from Hebrew Union College in Cincinnati in 1948 and later served as a Navy chaplain with United States occupation forces in Japan. In 1957, Rabbi Wolf became the first full-time rabbi of Congregation Solel, a Reform synagogue near Chicago. Guest speakers there over the years included the Rev. Dr. Martin Luther King Jr. and the Chicago Seven, the seven defendants charged with inciting to riot and other offenses stemming from protests at the 1968 Democratic National Convention. In 1965, the rabbi marched in Alabama with the civil rights leader John Lewis. Two years later, he led a group of congregants to Washington to lobby against the Vietnam War. Starting in the early 1960s, Congregation Solel conducted an annual weekend of Holocaust remembrance, among the first synagogues in the country to do so. In 1973, Rabbi Wolf helped found Breira, an organization of progressive American Jews that advocated a two-state solution to the Israeli-Palestinian conflict. The organization, whose name means “alternative” in Hebrew, was a target of frequent, bitter public attacks by American Zionists. It disbanded in 1977. Beginning in 1972, Rabbi Wolf spent eight years at Yale as a chaplain and the director of the university’s chapter of the Hillel Foundation, the Jewish student organization. In 1980, when he was preparing to leave Yale and return to Chicago, he delivered a blistering Yom Kippur sermon in which he charged the university with a “long and dishonorable history of anti-Semitism” and accused its administration of “callousness” toward the needs of Jewish students and faculty members. The sermon, and the university’s subsequent denial of Rabbi Wolf’s accusations, attracted wide public attention. Rabbi Wolf’s first marriage, to Margery Steiner, ended in divorce, as did his second, to Lois Blumberg. He is survived by his third wife, the former Grace Weiner; two sons from his first marriage, Jonathan and Benjamin; four stepdaughters, Sara Berger, Justine Henning, Sarah-Anne Schumann and Dara Henning; and 10 grandchildren. Even in retirement, Rabbi Wolf was a familiar presence in the news. Last year, for instance, he was the subject of newspaper articles in Chicago and around the nation, though for a far less controversial reason than usual. At 83, Rabbi Wolf was having his bar mitzvah, 70 years behind schedule. (“In those days, Reform Jews didn’t do it,” he told The Chicago Sun-Times.) He was a little nervous, he confessed, about having to chant Torah in public. This year, Rabbi Wolf was in the news again, for having looked all but clairvoyant in 1996, when he backed a young Chicagoan running for the Illinois Senate. Not everyone can claim to be the neighbor of a Presidential candidate – I can, though, because I am. Barack Obama’s Chicago home is across the street from KAM Isaiah Israel, the Hyde Park synagogue at which I’ve served for 27 years. He spoke to our congregation as an Illinois state senator; more recently, his Secret Service agents have made use of our, shall we say, facilities. But it’s not neighborly instinct that’s led me to support the Obama candidacy: I support Barack Obama because he stands for what I believe, what our tradition demands. We sometimes forget, but an integral part of that tradition is dialogue and a willingness to disagree. Certainly many who call me their rabbi have taken political positions far from mine – just as Barack Obama’s opinions have differed from those of his former pastor, the Rev. Jeremiah Wright. Of course, race is only one issue on which Wright has stepped beyond the bounds of civil discourse. He’s frequently made statements regarding Israel and the Jewish community that I find troubling. But to limit our understanding of Obama to the ill-conceived comments of the man who once led his church is dishonest and self-defeating. Obama’s strong positions on poverty and the climate, his early and consistent opposition to the Iraq War, his commitment to ending the Darfur genocide – all these speak directly to Jewish concerns. If we’re sidetracked by Wright’s words, we’ll be working against these interests. After all, a preacher speaks to a congregation, not for the congregation. And still many remain concerned that Obama isn’t committed to Israel. Some want him to fall in line behind the intransigent, conservative thinking that has silenced Jewish debate on Israeli policy, and enabled the Bush Administration’s criminal neglect of the diplomatic process. For my part, I’ve sometimes found Obama too cautious on Israel. He, like all our politicians, knows he mustn’t stray too far from the conventional line, and that can be disappointing. But unlike anyone else on the stump, Obama has also made it clear that he’ll broaden the dialogue. He knows what peace entails. Yet, in spite of all of Obama’s strengths, there’s another truth we’ve been loathe to admit: Among some American Jews, race plays a key role in the hesitation to support the Obama candidacy. We’ve forgotten that Black and Jewish America once shared a common vision; in the civil rights era, I and many in our community stood shoulder to shoulder with the giants of our generation, demanding freedom for all Americans. Obama himself doesn’t share our amnesia, however. “I would not be sitting here,” he said in Cleveland, “if it were not for a whole host of Jewish Americans.” That was literal truth, but not everyone remembers it. I’ve worked with Obama for more than a decade, as has my son, a lawyer who represents children and people with disabilities. He has admired Obama’s dedication and skill as he worked on issues affecting our most vulnerable citizens.